Nielah is using Smore newsletters to spread the word online. The Great Depression was the worst economic crisis of the modern era. It began in 1929 and affected many countries. It lasted until World War II (1939-45). From 1929-1933, industrial production in the Unoted States went down nearly 50 precent. Stock prices crashed 80 percent. One in every three nation's banks failed. 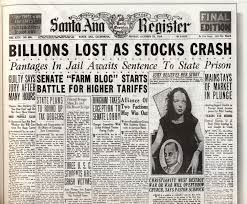 The stock-market crash in October in 1929 is often seen as the cause of The Great Depression. The Great Depression spread around the world. The international baking system was shaky. 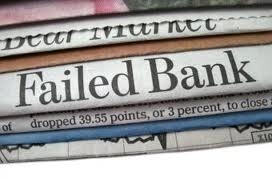 In the United States, many banks failed. The Depression hit its lowest point in 1933. A quartar of all American workers were unemployed. The people who were stil working were forced to take wage cuts or work part-time. The United States had no federal system of unemployment insurance or welfare. A lot of people lost their jobs and went into bankruptsy due to the stock market. Many banks failed because people were loosing their jobs and people couldn't pay their bills because they didn't have enogh money to pay the bank. President Roosevelt was apart of the stock market but he wasn't doing anything bad. He was actually encouraging the people that everything would be ok and that he would fight for their rights. 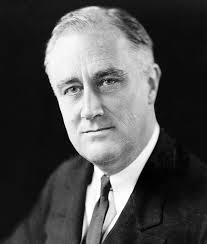 President Roosevelt, helped the people in the stock market and he encouraged them to keep their heads up because he was going to fight for their rights and for the people to get their money right and taken care of.